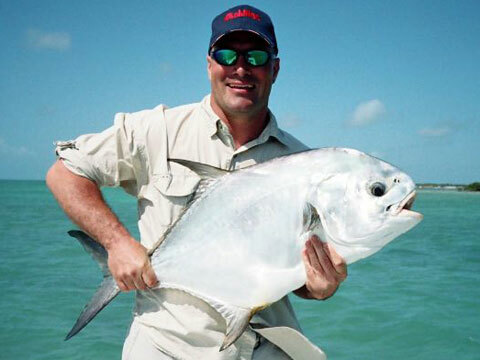 Florida Keys Flats Fishing is headed up by longtime veteran flats and fly fishing guide Captain Robert Lovell. Flats fishing in the Florida Keys is one of the most challenging fishing adventures an angler can undertake. Join Captain Robert for an action packed day of light tackle flats fishing on the pristine waters of the Florida Keys from Key Largo to Islamorada, as you fish for bonefish, permit, tarpon, snook, redfish, and seatrout. Capt. Robert is patient, hardworking and is ready to ensure that your flats fishing charter will be an adventure of a lifetime! Capt. Robert Lovell was raised in Cedar Key, Florida to a third generation commercial fishing family and as a boy grew up fishing the flats for redfish, snook, and seatrout through his early teenage years. He moved to the Florida Keys in 1988 and fell in love with it's unique ecosystem of flats, crystal clear water and abundant flats fishing opportunities for bonefish, permit, tarpon, snook, redfish and seatrout. During the past fifteen years he has aquired a vast knowledge of the flats of the Florida Keys and the Everglades National Park. "A true professional", is a phrase that best describes Capt. Robert Lovell, patient, mild mannered, hard working, and always looking for ways to better your fishing experience. With Capt. Robert's thirty years of fishing experience coupled with his master angling abilities in both spin and fly fishing, you are in for the flats fishing adventure of a lifetime.